Cisco's new Connect Cloud service is supposed to provide browser-based and remote network management features to users of some of its "Smart Wi-Fi" consumer routers. It's a pretty promising free set of features, and should impress anyone who likes to keep a close eye on their home wireless network with products like Spiceworks or Nmap. It includes such features as parental controls, media prioritization, and device management, and users can access it while at home or remotely via their mobile device. Unfortunately it's had a pretty rough beginning. When Cisco began rolling out the service last week, it required a firmware update for compatible routers. 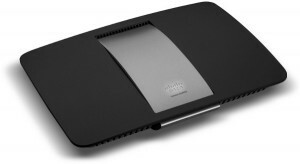 Some users of the Linksys EA4500, EA3500, and EA2700 routers reportedly received this firmware update without their approval, and they were forced to sign up for a Connect Cloud account to access their router at all. Users who did not want to submit any network information to the cloud, and manage their network locally were met with a completely different interface from the one they were accustomed to. Replying to customers who were shocked by the surprise update, Cisco's Vice President and General Manager of Home Networking, Brett Wingo said, "Cisco Connect Cloud was delivered only to consumers who opted into automatic updates. However, we apologize that the opt-out process for Cisco Connect Cloud and automatic updates was not more clear in this product release, and we are developing an updated version that will improve this process." It appears the new firmware was delivered to users who had previously checked "allow auto updating" when they had initially set up their routers, and the only way to get their devices back to their previous state is to reinstall their old firmware which is hosted on a couple of places on the Web. Users were outraged by the change in their firmware because of a clause in Cisco's Connect Cloud Terms of Service which says users are opting into letting Cisco see detailed, anonymized reports of their network usage. "Cisco may collect and store detailed information regarding your network configuration and usage for the purpose of providing you technical networking support. The information is associated with you only when you provide a unique ID number to the support representative while you are receiving help. The unique ID is generated randomly on your computer upon installation and is completely under your control."